Note descriptions on this micro-site refer to the original prototype Firefly, not the commercial version licensed by MK Illumination. 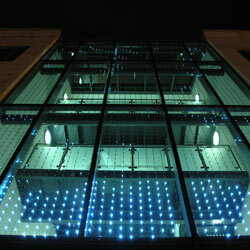 The technology has been licensed to MK Illuminations who are using it in leading edge projects worldwide. In the future … a spray on display surface as the ultimate vision for Firefly!